In July we began to bring on our own engineers in parallel development as insurance against anything unexpected in our development process. Let's just take a step back. Saygus, a minimally-funded smartphone startup that probably should be keeping a tight rein on its budgeting and hires, decided it would be a good idea seven months ago to hire a team of engineers to design a phone that a company in China was already designing for them. Just in case the whole "design it in China" thing didn't work, apparently. Well, prophecy fulfilled. Good thing Saygus had the foresight to bring on that team of redundant engineers seven months ago in the event "vast difference[s] in biz policy" arose, look who's laughing now! But if Saygus was so concerned about Chinese ODMs and knew they realistically could design the phone themselves, why hire the ODM in the first place? The cost is not going to be insignificant, and if you do end up not using the in-house design, you've wasted money designing a product to spec that you'll never use. Even if Saygus is being truthful here, and I will say I have no evidence to say otherwise (nor does Saygus provide anything but their word), this strategy seems bizarre. I get that A/B product development and testing is a thing, but this doesn't make Saygus look especially competent. That's not exactly a revelation, though, so let's keep digging. In another string of tweets, the company defends its use of the Snapdragon 801 processor in 2016 when Snapdragon 820 products are just on the horizon. The justification, of course, is that the Snapdragon 801 is good enough... as proven by a bunch of CPU benchmark tests. The 801 AC or the 808 are the best options from Qualcomm at the moment and their Antutu performance is essentially the same. Saygus cites the throttling of the Snapdragon 810, says the 805 isn't substantially faster, and that the 808 would take too long to integrate into a design they've already finished, so they're sticking with the tried-and-true Snapdragon 801. If anything Saygus says is believable, it's this, because it sounds exactly like what a real company unable to change its product either as a result of design finalization or financial limitations would say. This is what keeps me personally from believing Saygus is a fraud, because it's just such a mundane thing to get stuck on. Someone running a con would claim they're switching to the Snapdragon 820 to string fans along and encourage more pre-orders, whereas Saygus seems well and truly determined to sell that outdated Snapdragon 801. They also tweeted a picture of a new prototype "designed by the Saygus team," suggesting that the device pictured is one using the in-house design Saygus has been working on since July. 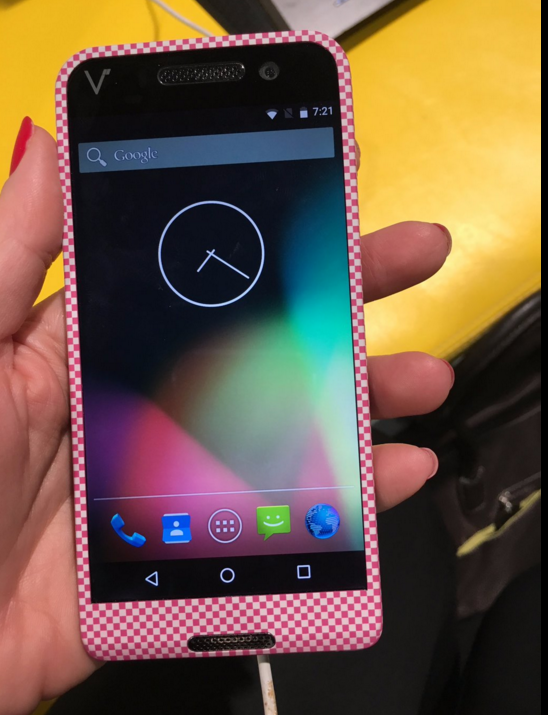 Aside from a different logo design and rather odd prototype case, this looks identical to the phone we saw one year ago at CES, except this one appears to be running Android Lollipop, albeit without any Google apps installed (note the old AOSP messaging and browser apps). In the tweet-deluge, Saygus claims the phone will have Marshmallow when it ships. Speaking of shipping, Saygus strongly implies it will meet its Q1 ship date, though it looks like it'll be in March. But then the company almost immediately watered things down in a reply to that tweet, suggesting that Q1 is merely an estimate, not a commitment. @Hutch755 Right. We have most of control now. Q1 is what we think. A timeframe they stuck with for months after that, too. @SamNewman121 Hey Sam, "Fall" of this year. Details coming. The takeaway should be obvious: don't believe Saygus about a release date until someone actually gets a tracking number. 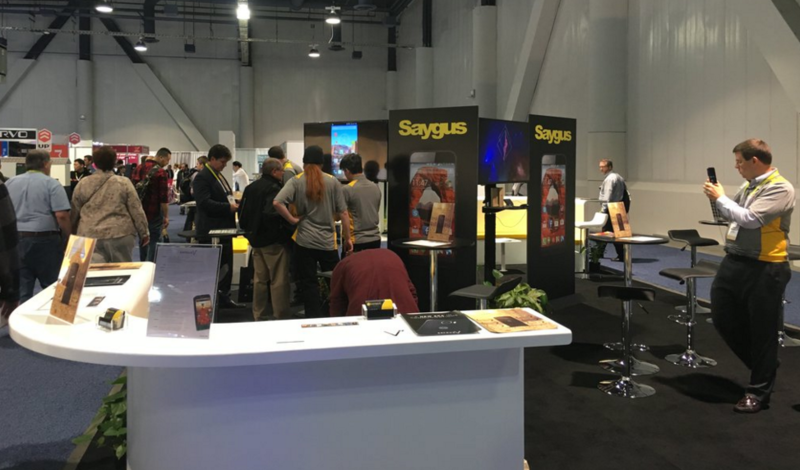 Will the Saygus phone ever ship? At this point, it's anyone's guess. Given that the phone shown in the image Saygus shared doesn't even have Google apps installed, it's hard to say how far along they truly are in the development process. Saygus wants to ship with Marshmallow, but I wouldn't be surprised if Lollipop ends up being a compromise to get phones out the door if the hardware is ready on time. That's a big "if," though. In the meantime, I'll just be watching this circus continue to unfold - that's all we can really do at this point.